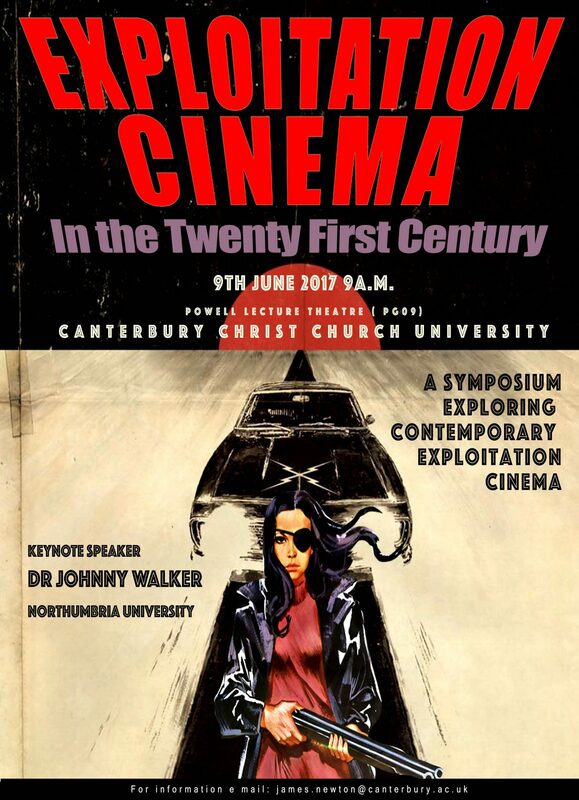 Dr James Newton is organising a one day symposium exploring the individual films, cycles, genres and traditions of exploitation cinema since the turn of the century in the School of Media Art and Design, Canterbury Christ Church University. For more information email james.newton@canterbury.ac.uk. Dr James Newton is organising a symposium on contemporary exploitation cinema at Canterbury Christ Church University.